The perfect gift for the canicross enthusiast in your life, the Cani-Fit gift voucher is redeemable against all items in our shop. Does your canicross buddy need a Nome? Think their dog would look fab in a Freemotion? Is a scooter on their Santa list? 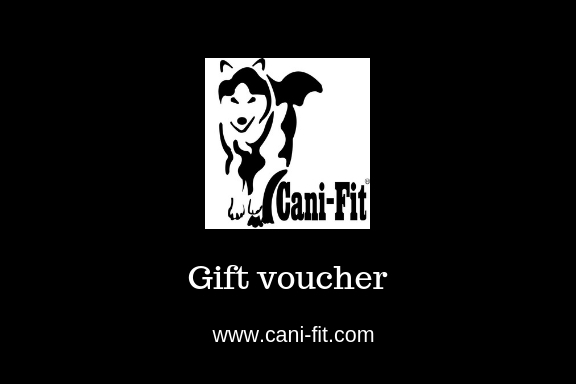 The Cani-Fit gift voucher is the gift that your canicrosser will love. Available in denominations of £30, £60, £100, and £150. SKU: N/A. Tags: gift voucher, gift vouchers. 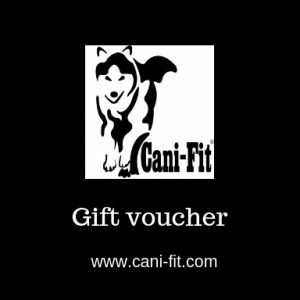 The Cani-Fit gift voucher is the perfect Christmas gift for the canicross enthusiast in your life. Redeemable against all items in our shop, the Cani-Fit gift voucher opens a whole treasure trove of goodies for your favourite canicrosser to choose from. From starter kits to scooters, we’ve got it covered. When purchasing, please advise us of the recipient’s name for the gift voucher. You will then be emailed an e-certificate with a coupon code that can be used when making a purchase through our website. Please note that the gift voucher is redeemable only against items in our shop, not clothing. Give a Cani-Fit gift voucher and be a Santa success this Christmas.